Last week, I wrote about my writing life using those trusty writing prompts – who, where, when, what, how and why. I invited readers to send me their own versions, and was delighted to receive this guest post from Julie Newman. Enjoy! I have been writing seriously for 10 years since taking my first course ‘Finding Your Voice’ with Jenny Alexander in Cornwall. I had newly retired and wanted a new project, hoping one day to write my memoir; although at the time this was a distant dream. This course also gave me the confidence I needed to explore other forms of writing and I’ve since had nine articles published with Evergreen and This England magazines. Other writing courses followed, one of which was in conjunction with the Caradon Hill Area Heritage Project. I had a historical short story published in each anthology, ‘Mining for Words’ and ‘Write to Remember’. At home in my study mostly. I also take a notebook with me wherever I go, for when inspiration strikes. Whenever I feel like it. I have no set times. I have just finished rewriting and editing my debut novel. The seed for this was sown one evening during the first writing course I took with Jenny. ‘Where There’s a Will’ is a playful romp through a month in Jess Harvey’s life, a 29 year-old woman with a strapped-for-cash lifestyle who thinks she’s found her Prince Charming in lawyer Giles Morgan. I hope to publish this in the next few weeks. Last September I finally realised my dream and proudly published my memoir ‘No One Comes Close’ which had been twenty years in the making, first in longhand taken from my old diaries and subsequently transcribed into Word and reformatted. I am now surrounded by books on the 1640s (English Civil War) with a view to writing a historical novel set in the Fens. Again, I initially wanted to explore the creative writing process with a view to publishing my memoir one day. But I have got so engrossed in every aspect of writing that now it occupies most of my time! I took numerous writing courses whilst living in Cornwall and I belonged to four writers’ groups – one in particular I found extremely helpful, not only with feedback on my own work, but I learned a lot through the process of critiquing other members’ work. Since moving to Norfolk and struggling to find writers’ groups in my area, I have recently found and made friends with three other local authors which is great. We often meet up for coffee and chat about our progress. I also belong to various writers’ groups on social media which I find very stimulating. I’m delighted to see that Julie is free-ranging with her writing too! ps The header comes from Julie’s guest post about journalling – you can read it here. The who, where, when, what, why and how of writing. I once went to a writing workshop that had no structure or content – the facilitator came with only two things – a few prompts and the information that to find a story all you need to do is ask the questions: who, where, when, what, why and how? It reminded me of a questionnaire I filled in for a PHD student who was studying writer’s block, because that was more or less the who, where, when, what, why and how of my writing. 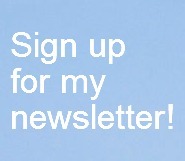 I’m an author with about 25 years experience in writing fiction, non-fiction and magazine articles for all ages. I’ve worked for traditional trade and educational publishers as well as self-publishing under my own imprint, Five Lanes Press. At home in my study for the actual writing part, but thinking and note-taking at the beach or out and about on the moors – I live in Cornwall and I like to walk and ponder. I don’t have any regular writing times. I might write through the night when I’m on a roll, but then spend several days away from my desk, just musing. A writing session might last anything between 20 minutes and 20 hours with breaks. In the early days, I had just 2 hours every morning, while my kids were in school/playgroup for writing. That extended to about 5 when they were all in school. I absolutely love not having any regular patterns in my creative life these days, now that they’re all grown up. At the moment, I’m promoting my three books for writers, with a free-range writing workshop tour and a monthly column in Writing Magazine. I’ve also updated and adapted another one of my out of print children’s self help books – 70 Ways to Bullyproof Yourself, which comes out in September. I’m writing articles and and putting together a blog tour for that. My children’s book on helping the planet is finished and looking for representation – I’ve sent it to an agent. If I can place it, I’ll write one about healthy living next year for the same age group. One of my main drives as a writer is sharing the useful stuff I’ve learnt just through living. I think of myself as writing in an elder tradition. I’m a stationery junkie. I love coloured gel pens and an assortment of different papers. I can’t work with music or any other kind of background noise, so it’s just as well I have very considerate neighbours. I’ve never taken any kind of formal writing course, but I go to other people’s workshops sometimes because I enjoy them. If I want to try a new kind of writing project, I’ll read the latest books in the genre and try to figure out how they work – then I experiment. I love reading books about writing. Some of my favourites are Nathalie Goldberg’s Writing Down the Bones, Donald Maass’ Writing the Breakout Novel, Christopher Vogler’s The Writer’s Journey and Ted Hughes’ Poetry in the Making. I recently enjoyed Dani Shapiro’s Still Writing too. What’s the story of you as a writer – your who, where, when, what, why and how? Email me if you’d like to do a guest post here in the House of Dreams. I’m delighted to welcome Dutch therapist, Susanne van Doorn, into the House of Dreams today, to tell the fascinating story of how she came to start her dream journal, years ago. She even includes some tips for you if you’d like to try it too. When Jenny invited me to write something about journalling, I immediately thought about my dream journal. It all started when I was 16. I had a very romantic self-created Four-poster bed with old curtains that gave me the feeling I was embraced and secure when I retreated at the end of the day. It was all designed so I could secretly read without getting caught by my parents. When I was 11 I had an out of body experience because I had gotten really ill from undiscovered type one diabetics. That whole experience, of flying around an unknown hospital and seeing (and nurturing) my body from above had ignited a fierce interest in spiritual books. For the first time in my life I read that you have the ability to guide your dreams to give you an answer to a certain topic (and believe me, like any 16 year old, I was an accumulation of questions). For the first time in my life, I read that you had the ability to ask the persons you meet in a dream for a gift. In my dream I met my deceased aunt An (I am named after her: SusANne). I was thrilled to see her but than I remembered I had to ask her for a gift. So, like in most dreams I communicated telepathically to her and asked for my gift. She gave me a yellow rose, a sign of friendship. You can imagine that such an experience had me craving for more. So I started writing down as many dreams as I could remember. Here is part of a dream I had the night before my first date with the man who would later become my husband. Being on a train is a symbol of the journey of life. We are all in it together, you have little influence on its direction after you have chosen a certain destination. But in my dream i enjoy the warmth of the sun. The water is a symbol, of life, a symbol of the goddess if you will. It is like life gives me support to let me know that I am on the good track. The sun is shining, all the ingredients of fertility are there. I hope that my blog will encourage the idea that you lay a pen and paper next to your bed, and write down a dream whenever you remember something. You’ll see that the more times you write something down, the better the memory of your dreams will be (I have 10 tips to improve dream memory in an ebook on my site). And even if you don’t believe dreams have any meaning, you’ll be surprised how many times dreams have pointed out something. Try to write in the first person’s perspective, even though it can be hard (dreams are often in the third person perspective). In this way the dream keeps its “juiciness”. Jot down the main emotions you had the day before. Emotions are often the key towards attaching more mening to your dream. Write down all the symbols in your dream and put your first association behind it. Now re-write the story, using your associations and see if that gives you some useful insights into your personality. The great thing about dreams is that they ignite your creativity (for example, I took a course in tarot because of a dream, I organised a trip to England searching for King Arthur also because of a dream). So for me the question if dreams mean anything or not is really not relevant. For me, dreams are a key to creativity. 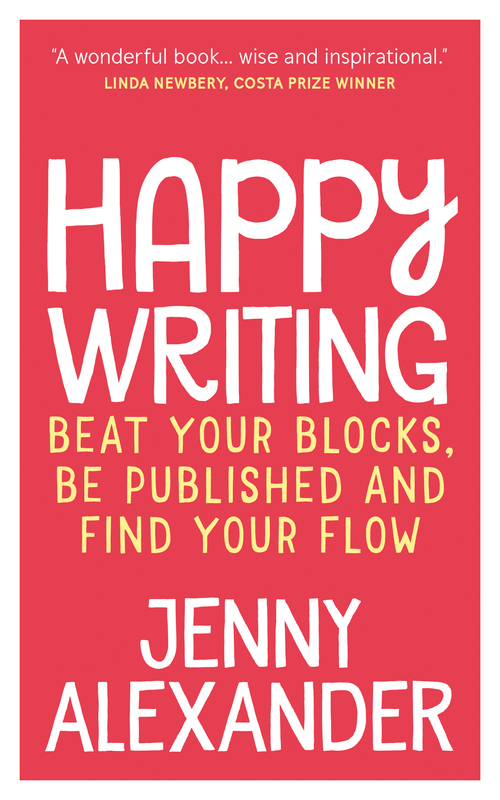 I want to thank Jenny for giving me the opportunity to tell you something about journaling. Susanne van Doorn, PhD (The Netherlands) is a Dutch therapist working for Therapeut van Binnenuit and blogging for Mindfunda, where she reviews new books about dreaming, spirituality and mythology, interviews authors and teaches several online courses. Author of “A dreamers Guide through the Land of the deceased”, Mutual Dreaming: A Psiber Experiment with co-author Maria Cernuto published in Dreamtime spring 2014, translator of “Theory of Dreams” by Vasily Kasatkin (2014). She is a regular presenter at Iasd conferences since 2013, In the Netherlands she gives presentations about dreams on a regular basis. She has a vibrant internet presence on Twitter: @susannevandoorn, Facebook and Linkedin. 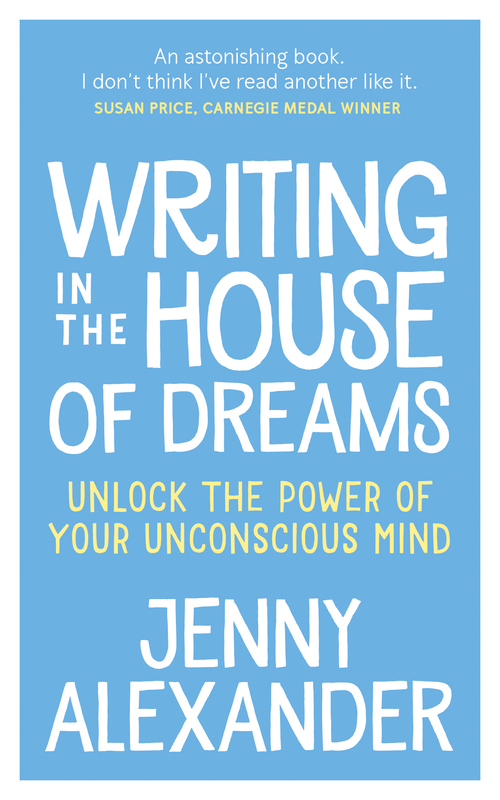 You can read Susanne’s review of my book, Writing in the House of Dreams here. This new post in my guest series on personal writing, by Anne Phillips, vividly evokes the feeling of danger and edginess that writing can bring – something I’ve often felt myself, and that I see in other writers who come to workshops. It can hold you back, but overcoming it is part of the buzz of writing. Anne lives and works in North Wales as a teacher; she’s widowed with four grown up children. Her entry spans 50 years of diary writing life. My writing life began at a young age. I was two. Blue pencil in hand, I scrawled my name backwards on the wall beneath the coats in the cupboard under the stairs. No one had any idea it was there, until twelve years later (seven after dad died), when my mother decided to paint the cupboard. I filled exercise books with ‘double writing’ writing books for my doll and teddy. One of my earliest memories is sitting at my brother’s school desk and pretending to be a writer. No surprise that I kept diaries between then and the age of seventeen …. Young love, crushes. The superficial details and concerns of teen life. I vividly remember the day I stuffed them into the rubbish bin outside Swansea Market. I was seventeen, I had my job. I was an adult. It was time to grow up. I married, left the bank, had children. I stopped journalling — it was too dangerous and disturbed other people. Best keep thoughts inside. Writing was the stuff and dreams of childhood. I kept an ideas notebook, a work notebook (by now I was teaching), a dream notebook and a notebook for my MA. I was awash with notebooks swapping one for another dependent on where I was. I down graded form A4 to A5 swapped utility blue for sparklier, more colourful diaries. Now I am still negotiating widowhood, single parenting, a stressful job. My MA is complete and I write, occasionally with a small amount of success. I only keep one notebook and I nearly died of fright this week when I mislaid it. It’s got my whole life in there: stories, ideas, dreams, to do lists class lists resit lists, plans story arcs. I don’t want anyone to read it and realise that inside my head is a dangerous place to be. My use of journals and journalling sums up my attitudes to a writing life. Keeping one integrated book feels ok. It’s ok to have thoughts and feeling written down. It’s ok to have dreams. It’s ok to disrupt other people. The note book covers enlivened my life as it become more enlivened. I had a sparkly phase, a butterfly phase, a blue phase, and these reflect my inner state too. There are still ‘no-go’ areas in my inner life. That too is ok. I’ll get to them when I need to or am moved to. Can you relate to Anne’s conflicting feelings about writing? Leave a comment! Today, I’m delighted to welcome Judy Dinnen in the House of Dreams to talk about her personal writing, as part of my occasional series of guest blogs on journaling. Judy has an MA in creative writing from Cardiff university and is ordained in the Church of England. Some of her poems have been published in magazines or resource books. I write because I need to, because some story or story seed beckons. I think pen and paper is best and sometimes it’s in my book of skies, so I write around clouds or through sunsets. You can see this notebook on a stone on the north Wales coast. These clouds might seep into my words but not always. Now I have a book of walls and I wonder how this will constrain or inspire my writing. In the first year of Trump, I have reservations about the effects of walls. I need to become a graffiti writer out in the open air. I write sporadically, often in holidays or trips to new or interesting places. For example I went to the Nazi parade ground in Nürnberg last year and was moved by the scattered names of prisoners on railway tracks. That’ s a bit like piggybacking on the artwork of others, but I’m glad to say I wasn’t on the trains to Auschwitz. It was the names that spoke to me, that shocked me, so many, yet each one recorded for eternity. I often pick up on moving words or personal stories and turn an event into poem. I sometimes write freely and carelessly when faced by some problem or angst. I first wrote like this the night my mother died. I never turned that into a poem but it did serve to show how releasing writing can be. I felt also that she had given me this gift of poetry. Writing for me is liberating; it helps me to think, to feel, to untangle conundrums. That’s why I belong to Lapidus and to The Creative Arts Retreat Movement, or CARM. I have led workshops with the homeless, bereaved and village groups and in this new phase of my life I lead poetry retreats with CARM. In these retreats I offer Christian prayer, space, poems, writing prompts and plenty of time for punters to explore words. They might explore the joy and value of words, words placed alongside each other, words echoing or enhancing each other, crying together or arguing. Sometimes I’m just a writer on these retreats and then I use lovely surroundings to inspire me. In that place in North Wales I like to sit on the sea-shore and listen to the waves. They tell me what to write. In that house of prayer there is an intriguing labyrinth and walking round and in and back is a metaphor for life. Scope for raising questions; scope for adventures too! I love that Judy felt her mother had given her the gift of poetry. That is a wonderful gift indeed. Leave Judy a comment if you have enjoyed her contribution. Diaries, Notebooks, Journals… Let’s Talk About Personal Writing! Every year, in early January, I run a workshop called ‘Writing the New Year In.’ It’s one of my favourites, and I look forward to it. My goal is to help people experience the deep pleasure of personal writing, which can help you find your writing confidence and voice, and may become a seedbed for ideas that will grow into finished writing projects. So what better time to launch my new occasional series of guest blogs about private writing? Today, I’m delighted to welcome Karen Laura Steel to the House of Dreams to talk about her writing journals. Karen is a funeral celebrant – she takes naming ceremonies and weddings as well – who has also worked for 20 years singing to elderly and brain damaged people in residential settings. Here is the story of her personal writing. I remember the first diary that allowed me to write more than childhood entries: “Went to school. Ate jam sandwich…”. It charmed me with its ornamental lock and pretty little key. I was 10, and it was a 5-Year diary, so I was aware it was something of a commitment, but the closely drawn lines and the never-ending feeling gave me a kind of hope. There weren’t many days over those 5 years that I didn’t write at least a small entry on how I was coping at new schools; having begun Comprehensive Education, only to move after 18 months, having to start O Level courses again. My diary listened as I missed old friends, found that cliques, once made, were hard to break into, and that friends we’d moved to be closer to weren’t necessarily worth the effort! My teen-diaries received emotions on unrequited love, the excitement of prospective love-interests and despair when things went hopelessly wrong. By the time I was beginning my degree, a plain notebook accompanied me everywhere, especially invaluable during my semester in America as I recorded first impressions of places and people every few hours at least. It was my 1980s version of fb, but private and didn’t need the approbation of others. Battling depression in my twenties my journal received all my heart’s outpourings when no one else seemed interested or capable of understanding where I was coming from. In my thirties when finally receiving help, dream journals, notes on counselling sessions or discussions with helpful friends gave way to writing about new avenues of spirituality as I explored Yoga, its philosophy, and anything which gave a different perspective on the world. Over time my journals have also generated other creative outlets, germinating ideas for songs or other writing. Too much work ate into journal time last year, until I decided that life was far more enjoyable when I could jot down my problems and see the solutions emerging spontaneously. Part of me wishes the notebooks were all the same size or of similar design, but the array of covers which have held my confidences are a testimony in themselves to my changing life, tastes and experience and are precious for that. I am writing once a week at the moment – and the desire to do it more often is encouraging me that I’m back on track! You can find out more about Karen’s work by visiting her website or reading her blog, Diary of a Funeral Celebrant. Do you have a practice of personal writing? If so, we’d love to hear about it here in the House of Dreams. Please email your piece, up to 400 words, a sentence or two about yourself and any links you’d like to include, to author@jennyalexander.co.uk. A photo of yourself would also be good, and possibly one of your journals. I’m planning to make this an occasional series throughout 2017, welcoming a wide range of guests. Let’s celebrate personal writing!